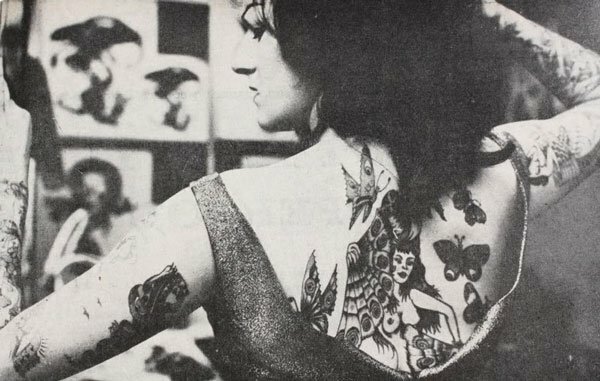 Although women have achieved a certain level of freedom to decorate their bodies as they wish in modern society, the scandal of getting a tattoo or a piercing wasn't always limited to unruly teens going against their parents' wishes. 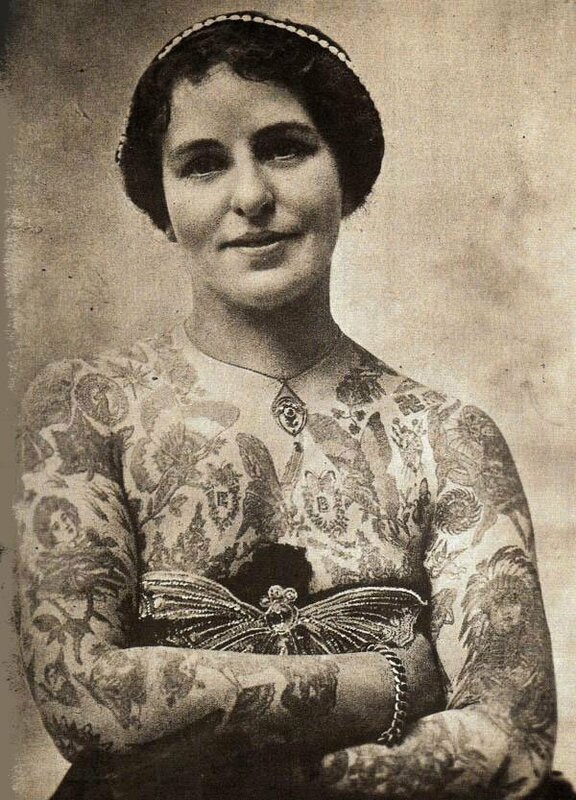 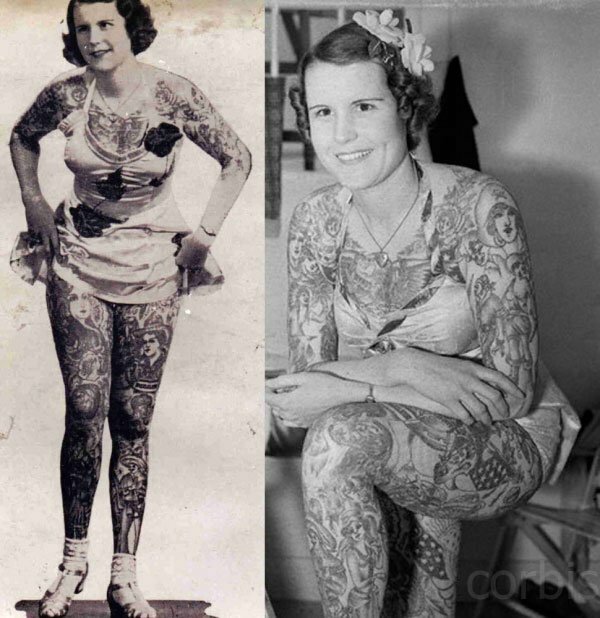 At best, the subject of strange glances on the street, and at worst, the subject of ridicule, tattooed women bucked societal norms in order to decorate their skin as they saw fit, paving the way for today's inked chicks. 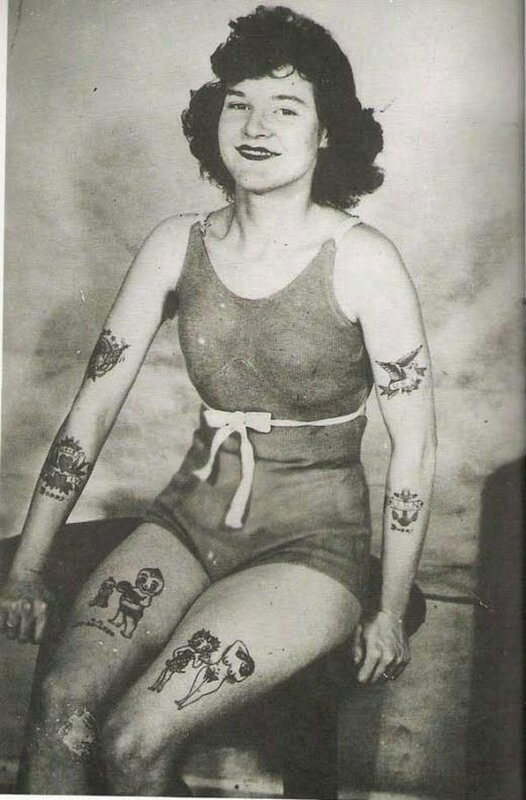 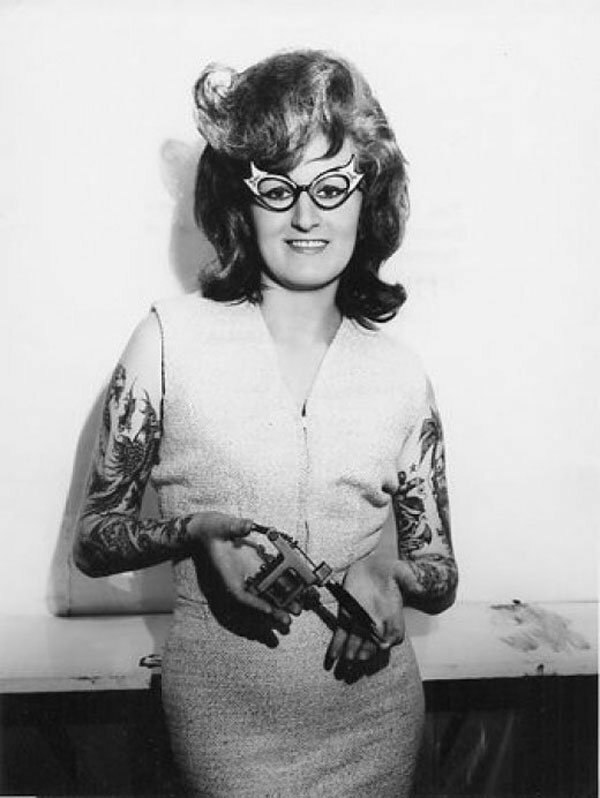 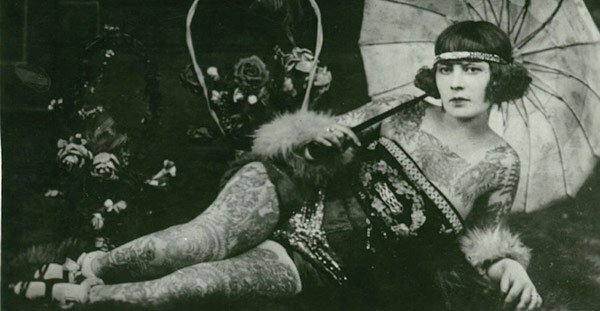 Here are some great old photos of some lovely ladies with awesome tatts!